Oct 2018 – A Hamilton woman charged with embezzling money from her employer admitted to authorities that she used some of the stolen funds to make donations to the election campaign of Trenton councilwoman Marge Caldwell-Wilson. Yolanda M. Torres, 43, was Caldwell-Wilson’s campaign treasurer who signed off on the North Ward councilwoman’s election reports, according to state records. 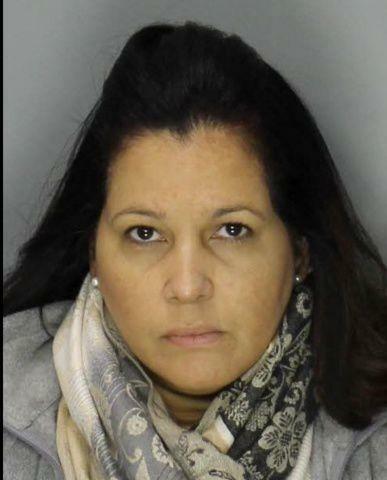 Torres is charged with 10 felony counts for allegedly embezzling more than $430,000 from Shu Dental Laboratory, located in Morrisville, Pa., where Torres was hired as a bookkeeper in July 2016. The councilwoman said the two were so close that she attended a graduation for Torres’ son. That trust was apparently misplaced, as prosecutors revealed that Torres used more than $21,000 in stolen money to donate to the councilwoman’s campaign fund. Prosecutors say Torres began issuing unauthorized business checks to herself, her son and other groups almost immediately upon starting the job at Shu Dental. The unauthorized transfers totaled $439,637.19. About half of those transactions happened earlier this year when Torres made a series of large transfers from Shu Dental’s business line of credit, prosecutors say. A review of the company’s accounting logs showed Torres issued 188 unauthorized checks, each fraudulently stamped with the signature of the company’s owner. Investigators say she falsified documentation to make 177 of those expenditures appear legitimate. The other 11 had no supporting documentation, according to prosecutors in the case. Officials say Torres also gave herself three unauthorized raises, increasing her pay by 50 cents an hour in September 2016 and again by another 50 cents in November 2016. The following June, she gave herself a pay increase of $1 per hour, according to prosecutors who say she collected an additional $6,114 through the wage increases. According to an affidavit of probable cause, Torres admitted during an interview with detectives from the Bucks County District Attorney’s Office and the Mercer County Prosecutor’s Office that she used money from Shu Dental to pay her rent, utilities and her son’s college tuition, as well as to cover other personal expenses. In addition to the funds donated to Caldwell-Wilson, Torres also admitted she gave $5,553 of stolen money to Friends of Ewing Football. Court documents further state that Torres donated an unspecified amount of stolen money to the Lady Margaret Animal Foundation, which was founded by the councilwoman. Caldwell-Wilson said her records show that Torres never made donations to the animal foundation, but rather stole money from the account. “According to my knowledge after sitting down with the bank, I didn’t see any contributions [from Torres] to the foundation. I saw a lot of withdrawals,” Caldwell-Wilson said. The councilwoman said she had to transfer cash from her personal account to the foundation to keep it active. Caldwell-Wilson’s campaign coffers had more than $8,300 in it, according to Torres’ last filing from April. Torres also donated another $300 on Dec. 17, 2017, to Inaugural 2018 Inc. — which was Gov. Phil Murphy’s inauguration committee — according to state records. The nonprofit was set up by Rajiv D. Parikh to conduct “inaugural events for New Jersey Governor-elect Philip Murphy and any related activities,” according to treasury records obtained by The Trentonian. Parikh served as senior counsel for Murphy’s transition team. Murphy’s wife, Tammy, is part of the nonprofit’s board of trustees, records show. Aside from the lone $2,500 reimbursement, the records do not indicate any other political donations from Torres to Caldwell-Wilson. Political donations are supposed to be reported on election reports, with a maximum individual contribution limit of $2,600. Caldwell-Wilson, a former state social worker originally from Scotland, was re-elected to a third term in June following her convincing runoff win over challenger and perpetual foe Algernon Ward. Caldwell-Wilson recently came under fire when West Ward councilwoman Robin Vaughn via Facebook called on her to resign from the legislative body over her ties to the Trenton Downtown Association, which was established decades ago when the city created a special improvement district to foster downtown growth. Vaughn felt it was a conflict of interest for Caldwell-Wilson to sit on TDA’s board of directors. Caldwell-Wilson declined to bow to Vaughn, who was roundly rebuffed by online detractors who felt she was being petty. Torres is charged with dealing in proceeds of unlawful activities, theft, receiving stolen property, identity theft and crimes related to the illegal use of computers. A Pennsylvania judge set bail at $100,000. The investigation into the thefts began in July after a client contacted Shu Dental to report an unauthorized $1,316 charge on his business credit card completed by Torres. The criminal complaint says Torres resigned from the company July 13 after she was questioned about the transaction by the company owner. As of this time, Torres is only charged by Bucks County prosecutors. A Mercer County investigation is ongoing and the councilwoman is fully cooperating with detectives.